Product information "Outdoor Motion Sensor"
The Outdoor Motion Sensor detects outdoor movements of up to 10 meters at any time of the day and controls light automatically. This allows the exterior lighting to be turned on when you come home in the dark. Or you will be notified if outdoor movements are registered at night. The motion sensor comes in a compact ball design and can be easily installed thanks to a magnetic wall bracket. The weatherproof sensor has a 360° surveillance area and can be placed unobtrusively. The battery-powered sensor includes a lens cover that allows you to hide an area that is not intended to be detected by the motion sensor. The sensor has different levels of sensitivity, which can differentiate between humans and animals, so that you are not alerted by every cat passing your garden. Everything in view: The Outdoor Motion Sensor registers movements at any time of the day and informs you about them or reacts with light. It will automatically illuminate your way home in the dark and deter burglars at night. 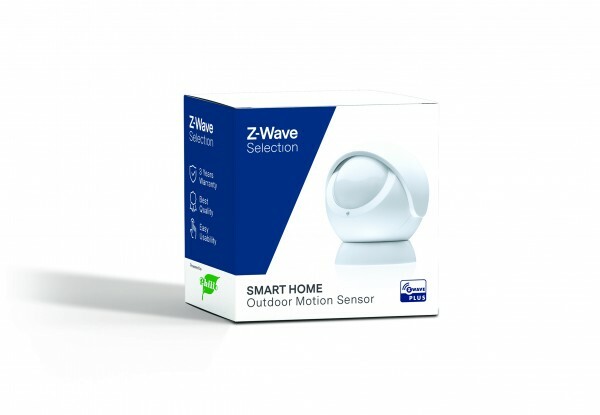 Related links to "Outdoor Motion Sensor"